That's a new one. Korea also checked in, South side of the border. Nothing from the North Koreans yet. A new Ex-Pat checks in from the Banana Republics! 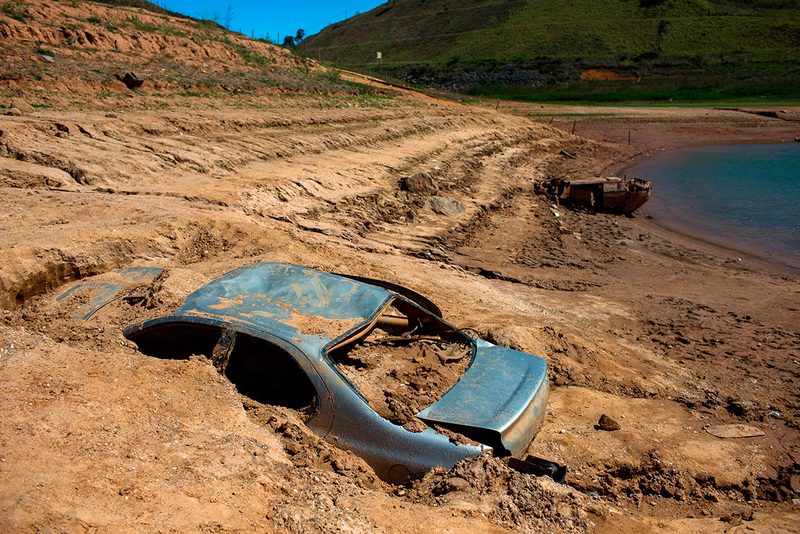 Drought Central in Brasil just checked in to the Diner. PYRAMID POWER MAKES IT TO THE DINER! The MENA neighborhood is starting to fill in. There's an unexpected one to check in from MENA. I'm amazed they even have working internet. The Revolver Map for the Diner Forum is lit up like a Christmas Tree right now with 52 visits. It's blinking all over the FSoA!!!! I have to readjust my estimate for readership of the Forum. It's more like 40-50% compared to the Blog, not 20%. Fewer places, but they hit more pages. The Boys in the Black Pajamas just checked in. From Ho Chi Mihn City. Home Base for Alexander the Great! Things haven't gone so well there since then. They've been collapsing for a few 1000 years. Macedonia or Macedon (/ˈmæsɪˌdɒn/; Greek: Μακεδονία, Makedonía; Ancient: [ma͜akedoní.a͜a]) was an ancient kingdom on the northern periphery of Classical Greece and later the dominant state of Hellenistic Greece. It was ruled during most of its existence initially by the legendary founding dynasty of the Argeads, the intermittent Antipatrids and finally the Antigonids. Home to the Macedonians, the earliest kingdom was centered on the northeastern part of the Greek peninsula, bordered by Epirus to the west, Paeonia to the north, the region of Thrace to the east and Thessaly to the south. The rise of Macedon, from a small kingdom at the fringe of typical Greek city states affairs, to one which came to control the fate of the entire Hellenic world, occurred under the reign of Philip II. With the innovative Macedonian army, he defeated the old powers of Athens and Thebes in the decisive Battle of Chaeronea in 338 BC and subdued them, while keeping Sparta in check. 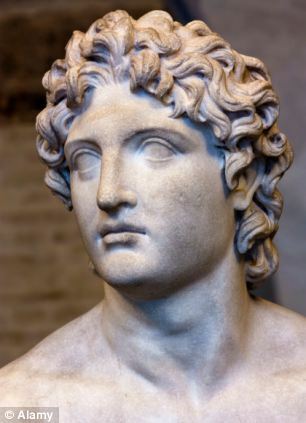 His son Alexander the Great pursued his father's effort to command the whole of Greece through the federation of Greek states, a feat he finally accomplished after destroying a revolting Thebes. Young Alexander was then ready to lead this force, as he aspired, in a large campaign against the Achaemenid Empire, in retaliation for the invasion of Greece in the 5th century BC. In the ensuing wars of Alexander the Great, he was ultimately successful in conquering a territory that came to stretch as far as the Indus River. For a brief period his Macedonian Empire was the most powerful in the world, the definitive Hellenistic state, inaugurating the transition to this new period of Ancient Greek civilization. Greek arts and literature flourished in the new conquered lands and advancements in philosophy and science were spread to the ancient world. Of most importance were the contributions of Aristotle, a teacher to Alexander, whose teachings carried on many centuries past his death. After the death of Alexander the Great in 323 BC, the following wars of the Diadochi and the partitioning of his short-lived empire, Macedonia proper carried on as a Greek cultural and political center in the Mediterranean region along with Ptolemaic Egypt, the Seleucid Empire, and the Attalid kingdom. Important cities like Pella, Pydna, and Amphipolis were involved in power struggles for control of the territory, and new cities were founded, like Thessalonica by the usurper Cassander, which is now the second largest city of modern day Greece. Macedonia's decline of influence began with the rise of Rome until its ultimate subjection during the second Macedonian Wars. Not sure the location city, it was disguised. My guess is either Vlad the Impaler or Edward Snowden is a Diner. This version by your favorite Bald Female Singer, Sinead O'Connor. The Towel Heads just checked in. They are looking to the Diners for advice on their Nuke Program. Do NOT answer the Kollapsnik Help Line if the Ayatollah calls. Get a number or something related to a contact. Have I got a uranium mine for them ! I'm wondering what those Black Cadillac Escalades are doing in the parking lot?